Story of Vaishnavastra is found in the Mahabharata and it is told to Arjuna by Bhagavan Sri Krishna. In the Mahabharata, Bhagadatta, used the dreaded arrow against Arjuna. Arjuna took aim to destroy the weapon but suddenly Krishna came in between and allowed the arrow to hit him. 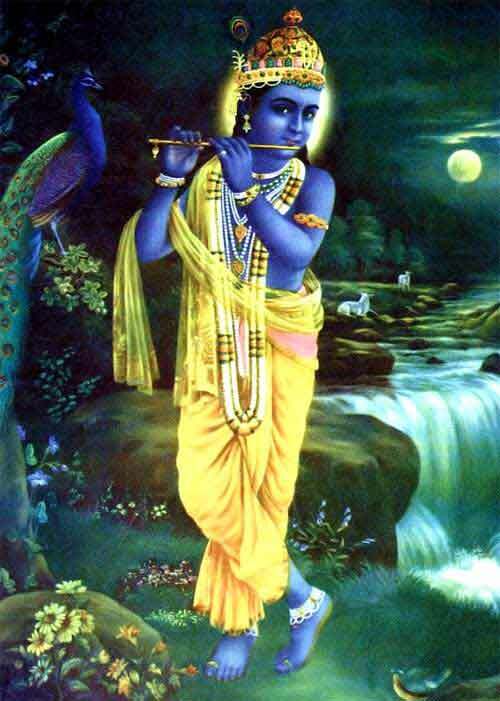 As soon as the arrow hit Sri Krishna, it turned into a garland of flowers. Arjuna wanted to know the reason why Krishna bore the brunt of the arrow. Krishna then told that the arrow Vaishnavastra was given to Bhagadatta by his father. He had received it from Bhudevi (Mother Earth). Bhudevi had received the arrow from Lord Vishnu when He had lifted Her up from the bottom of the ocean. No living being in the universe can withstand the power of the Vaishnavastra. This is the reason why Sri Krishna took the brunt of the arrow. Bhagadatta was the king of Pragjyotisha and he had fought on the side of the Kauravas in the great battle in the 18-day Kurukshetra battle.